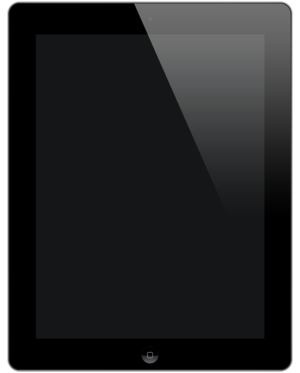 The third generation iPad (sold as The new iPad, sometimes called the iPad 3) is a tablet computer that is made and sold by Apple Inc. It added new features, such as a Retina display, a new Apple A5X processor, a 5 megapixel camera, 1080p video recording, and support for LTE networks in North America. ↑ "iFixit iPad 3 teardown – Page 2". iFixit. Retrieved March 16, 2012. ↑ "iPad 3 teardown – iFixit – Page 3". iFixit. Retrieved March 16, 2012. ↑ White, Joe (March 6, 2012). "Let's talk iPad Names – iPad 3, iPad 2S, or iPad HD?". AppAdvice. Retrieved March 12, 2012.